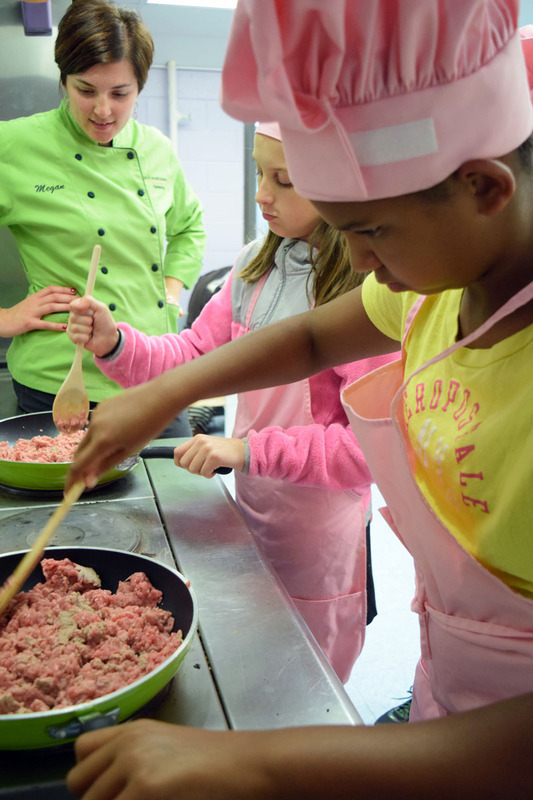 What We Do Kids Can Cook Girls Inc. 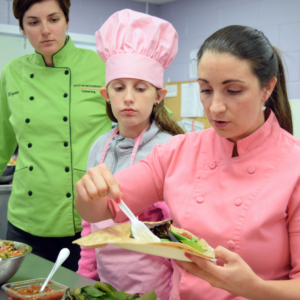 Chef Nicole & Chef Megan, with full funding provided by FEEDNH.org, are back at it! 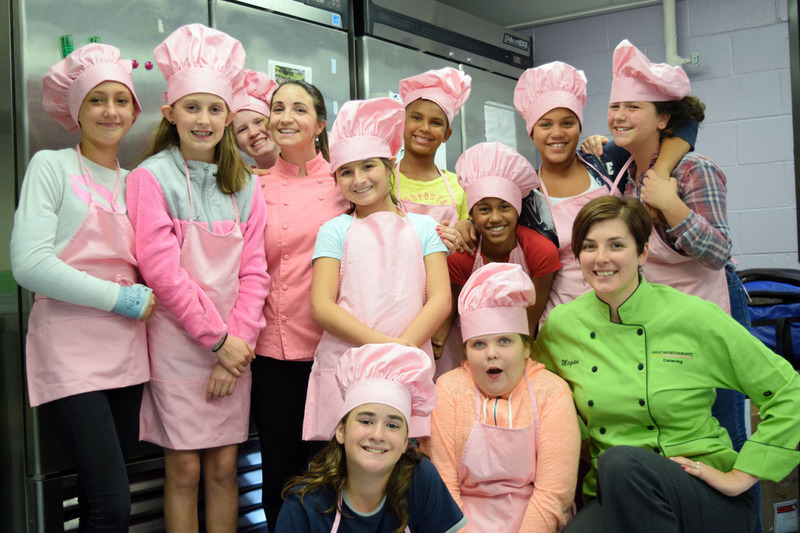 They have developed a 10 week Kids Can Cook program with Girls Inc. of New Hampshire, focusing on Manchester, Concord & Nashua locations. 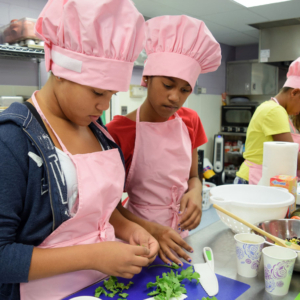 The 10-12 student cooking classes are built around teaching the girls cooking skills they will hopefully use for a lifetime. 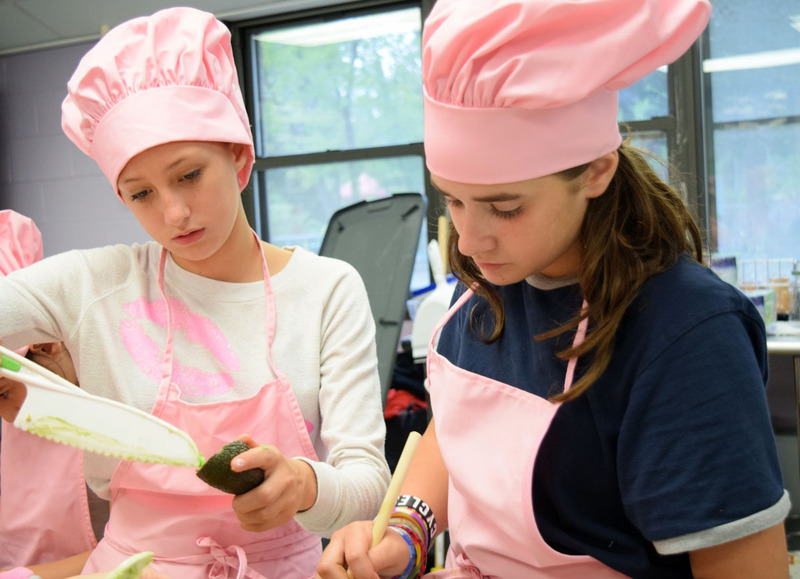 The goal of each class is that the students understand how to read a recipe, prepare the recipe, understand the importance of quality & healthful ingredients, as well as feel a sense of pride and accomplishment upon completion. 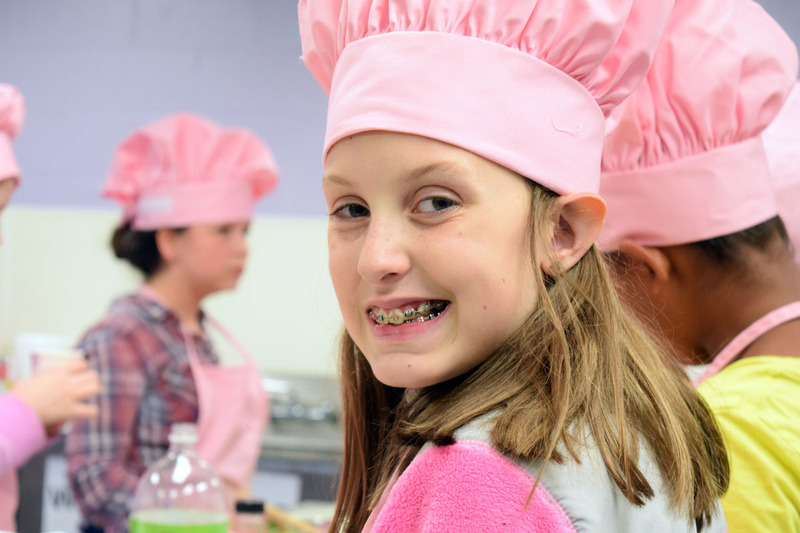 ” We have had a blast once again with the kids! 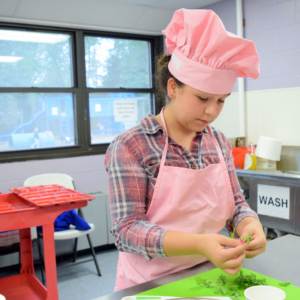 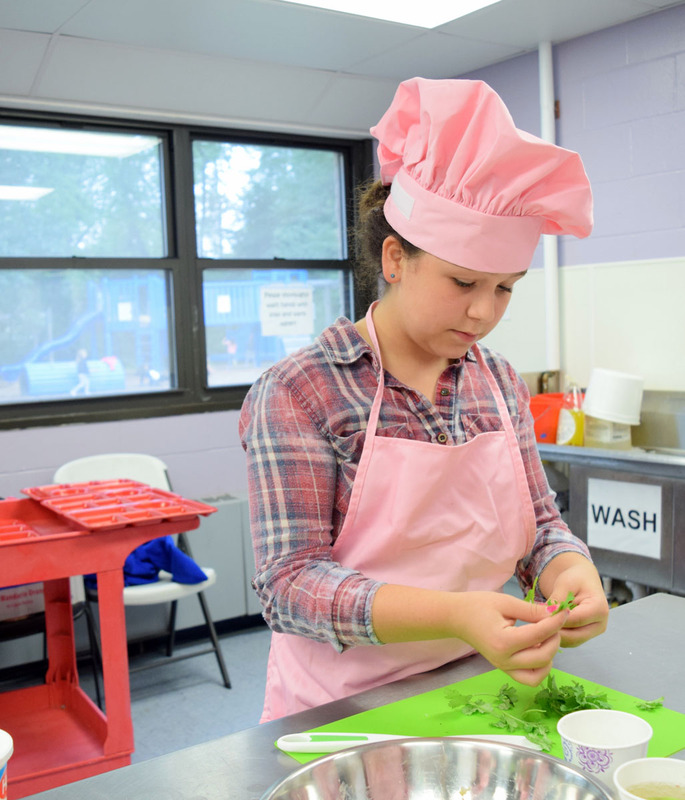 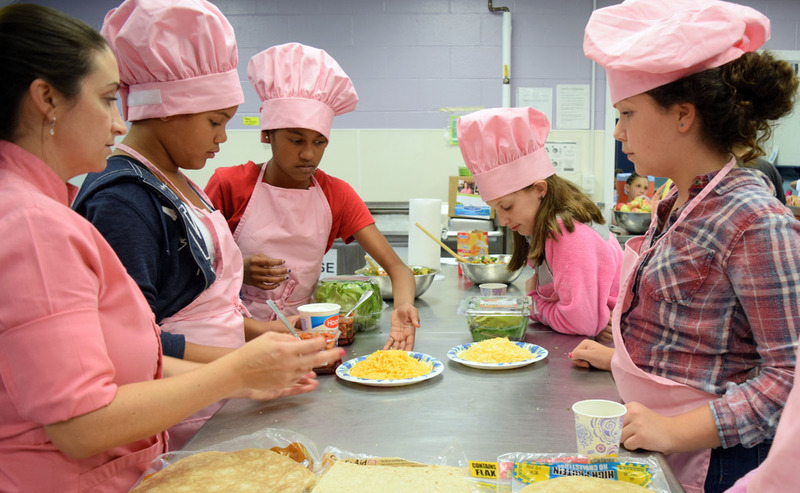 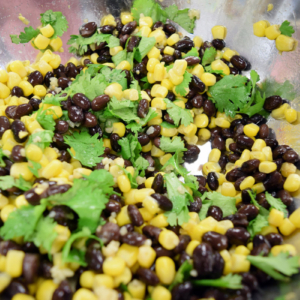 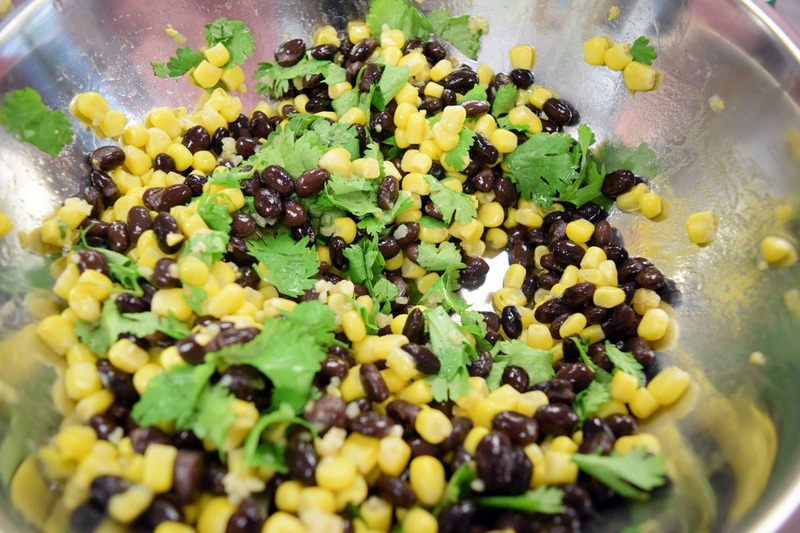 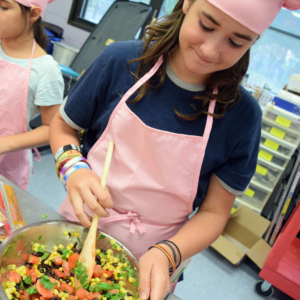 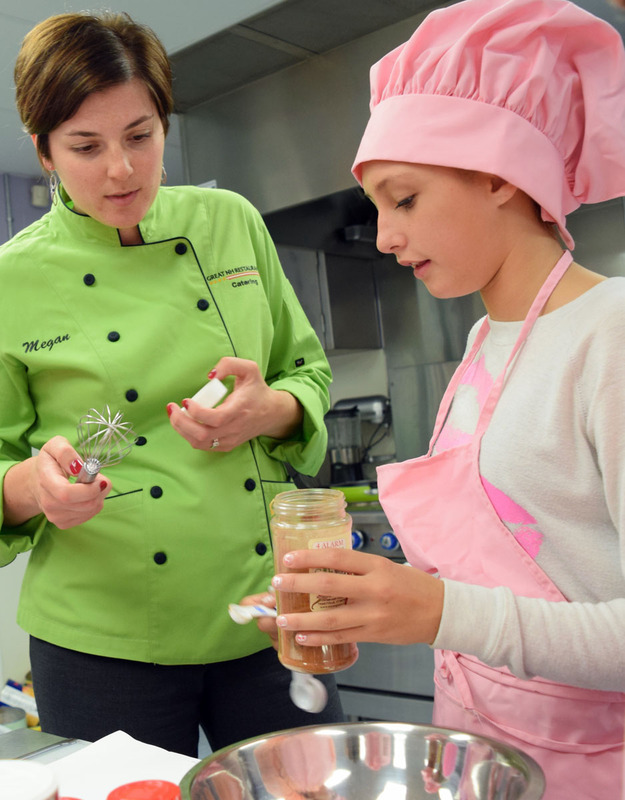 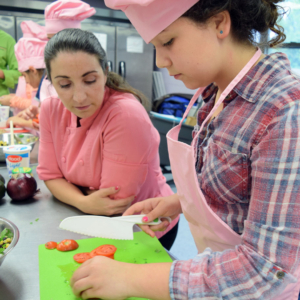 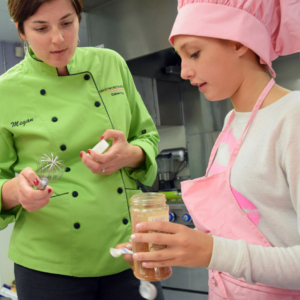 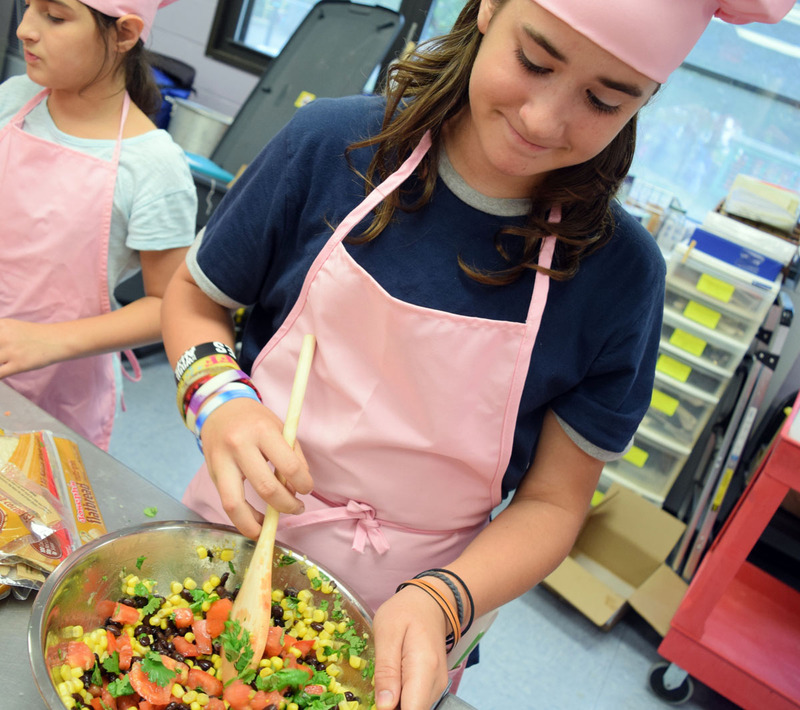 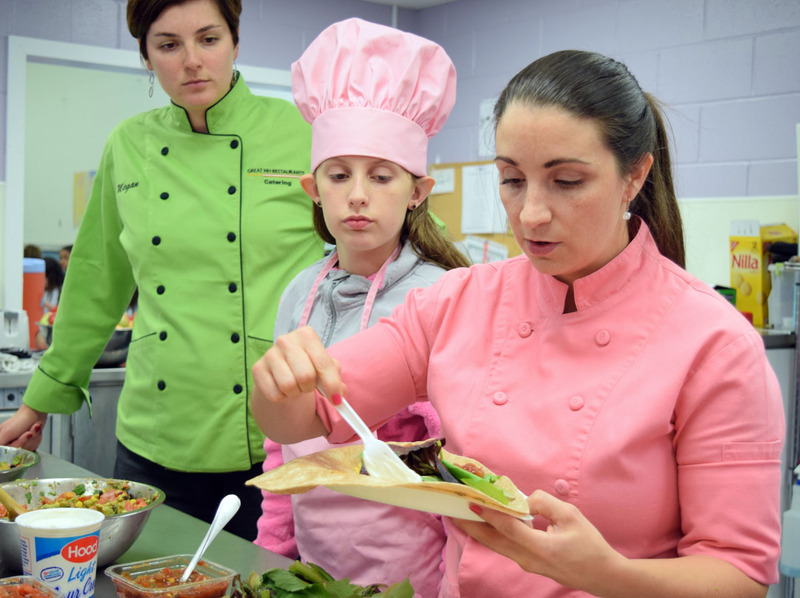 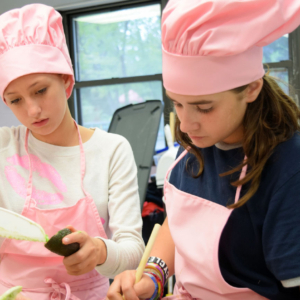 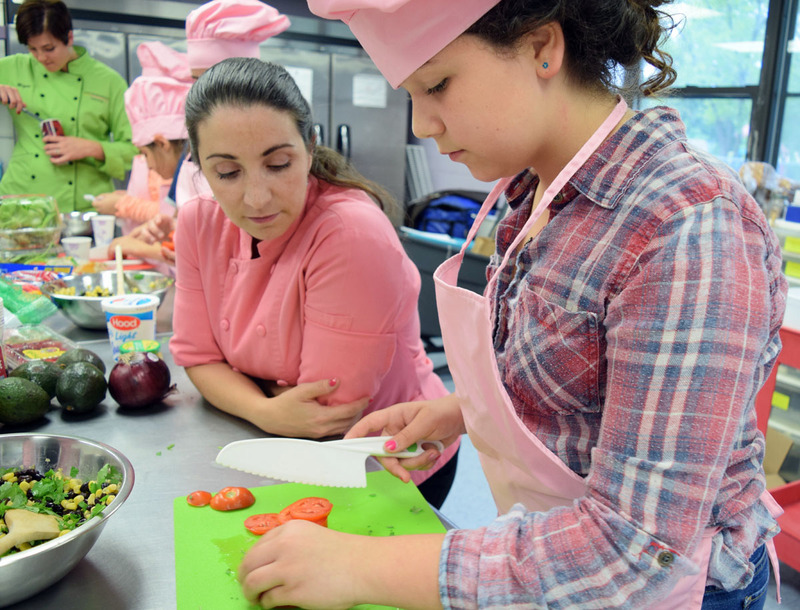 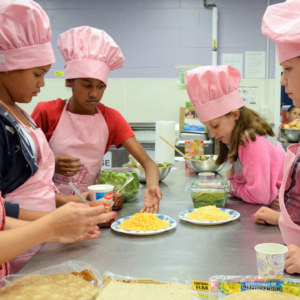 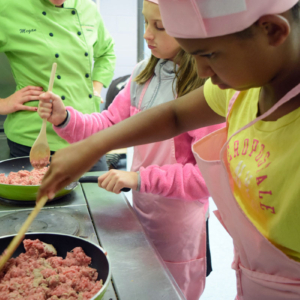 It’s so amazing to see how much they WANT to learn about cooking, eating healthfully, and how open most students are to trying new things!” said Chef Nicole. 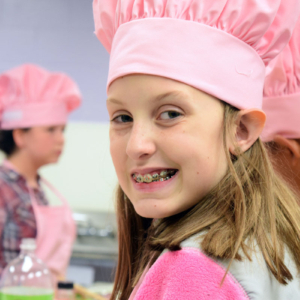 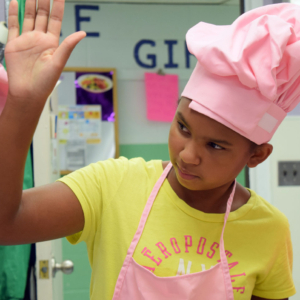 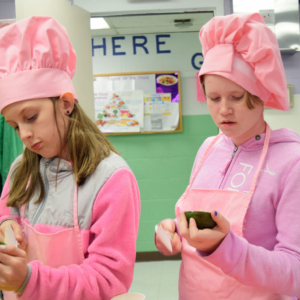 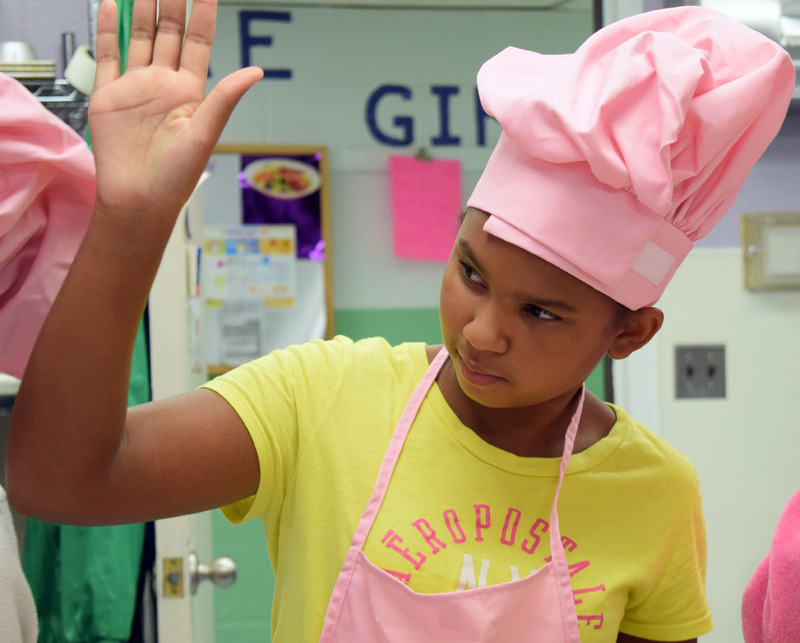 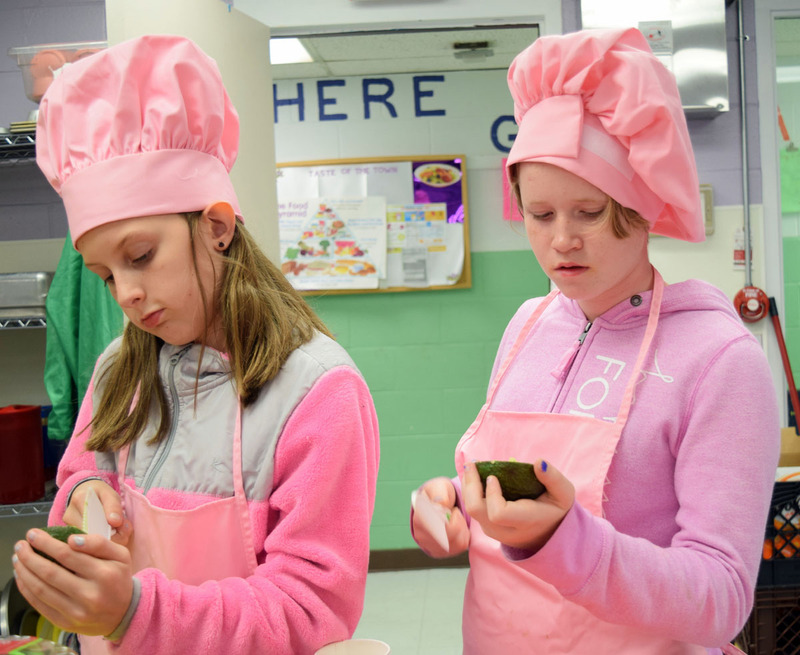 Each student receives a pink chef hat, pink apron, Great NH Kids Can Cook cookbook & DVD, and awesome ‘swag bag’ filled with cooking utensils and so much more! 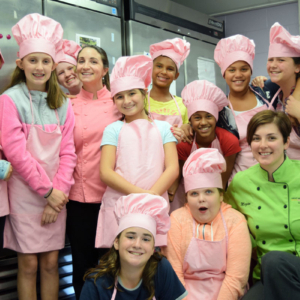 “My absolute favorite is when the kids ‘graduate’ after our dinner class and we get to give the girls all their cooking stuff! 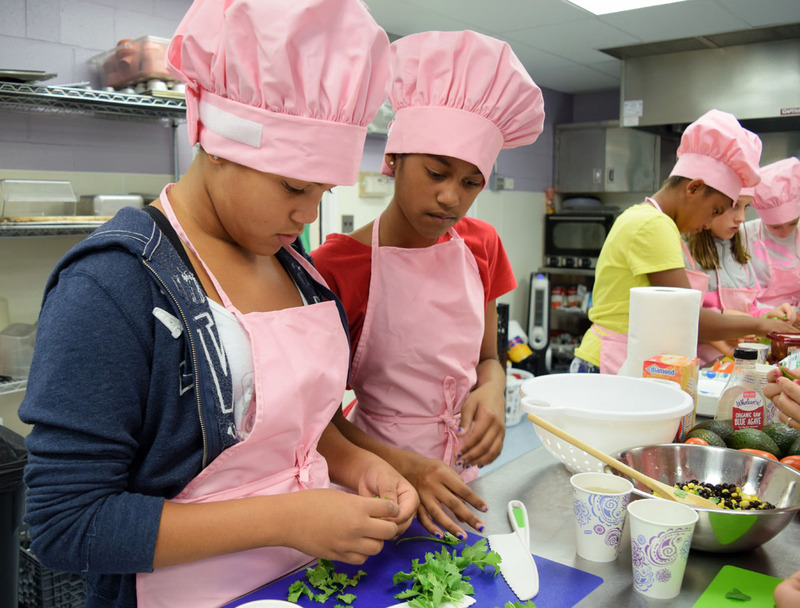 They are so excited to be able to get home and show off their new skills. 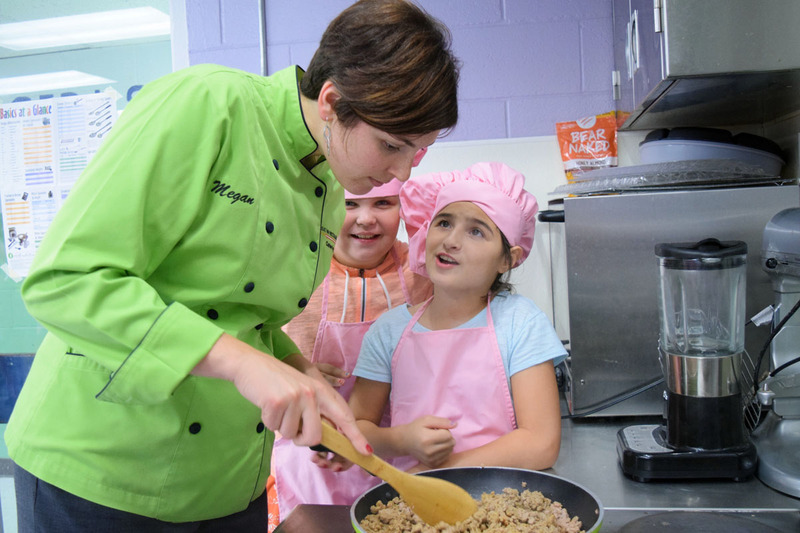 Chef Nicole and I truly hope we’re making a difference in the students lives, even if small, and we believe we are.” said Chef Megan Fournier. 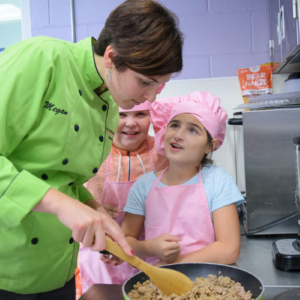 The FEEDNH.org board and its Advocacy and Community Relations Administrator, Tanya Randolph, are enthusiastic about keeping the program going with additional financial support from other companies and community partners.